Lately, I have been working CW, and I have had some fading signals and noise, so I figured that the dipole might help some with this. The issue is that I needed somewhere to mount this thing! 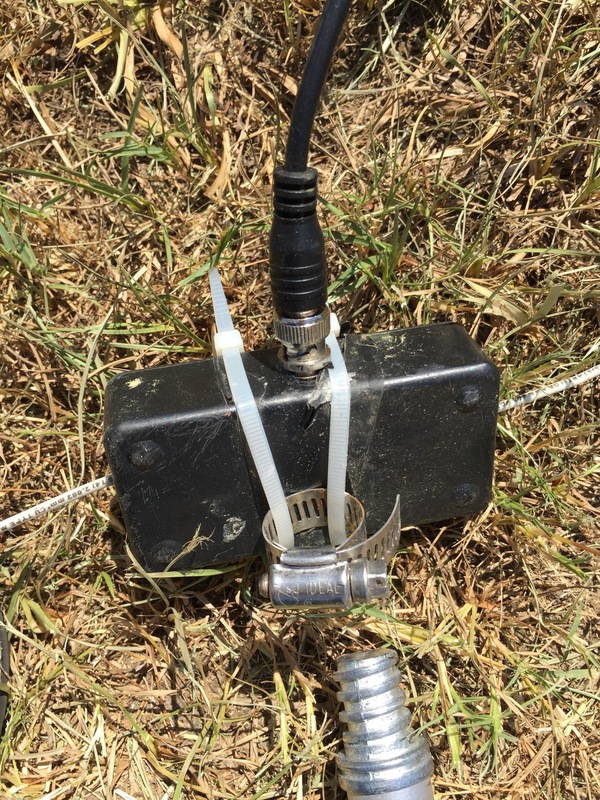 The antenna is two pieces of 33 feet long 14awg stranded, jacketed wire glued into a small Radio Shack project box connected to a BNC connector. It’s as simple as that. Building antennas is not complicated! 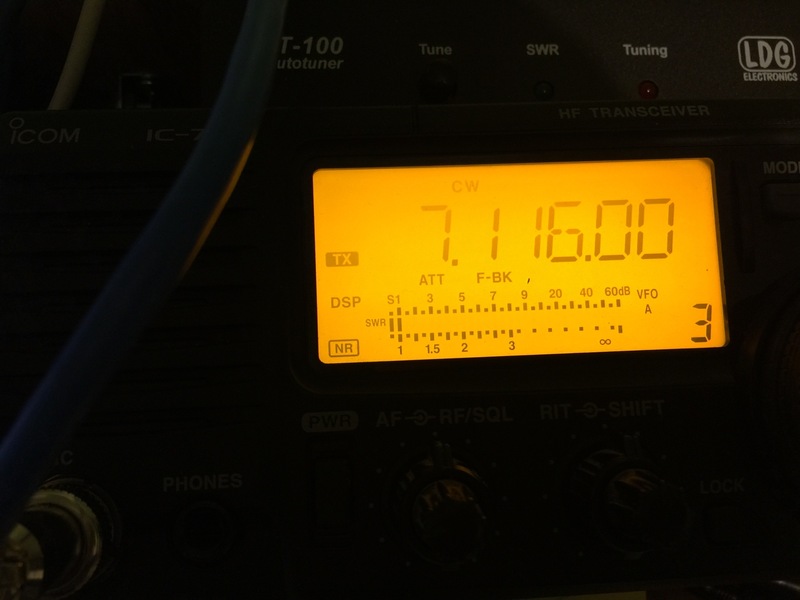 I used a noise bridge to tune the dipole to the CW portion of 40m. I would go into depth with this process, but it is more than I want to include in this short blog. I simply started with 66 feet of wire split in two equal sections. Then I used the noise bridge and a receiver tuned to the middle of the CW portion and trimmed the antenna for a good resonance (null in the noise). Each end is now 32 feet 10 inches in length. Testing it out two years later on a rig with an SWR meter showed I had a 1:1 match across the entire CW portion of 40 meters! The fun part about this project is that a horizontal dipole on a fence doesn’t really do much good on receive where I am. I decided that I wanted to have the dipole up more than 5 feet in the air without spending a lot of money. 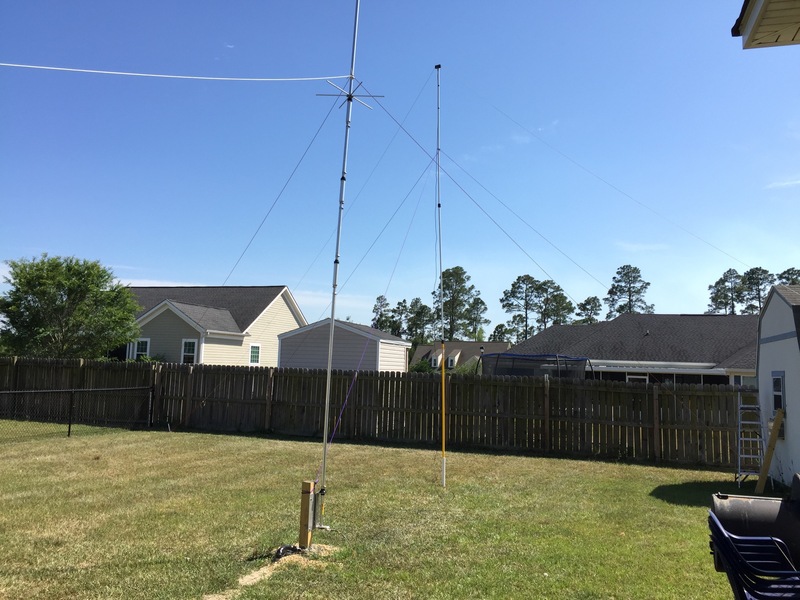 A 35′ metal telescoping mast designed for Amateur Radio is about $150 plus shipping. That doesn’t even include guy wires or stakes. 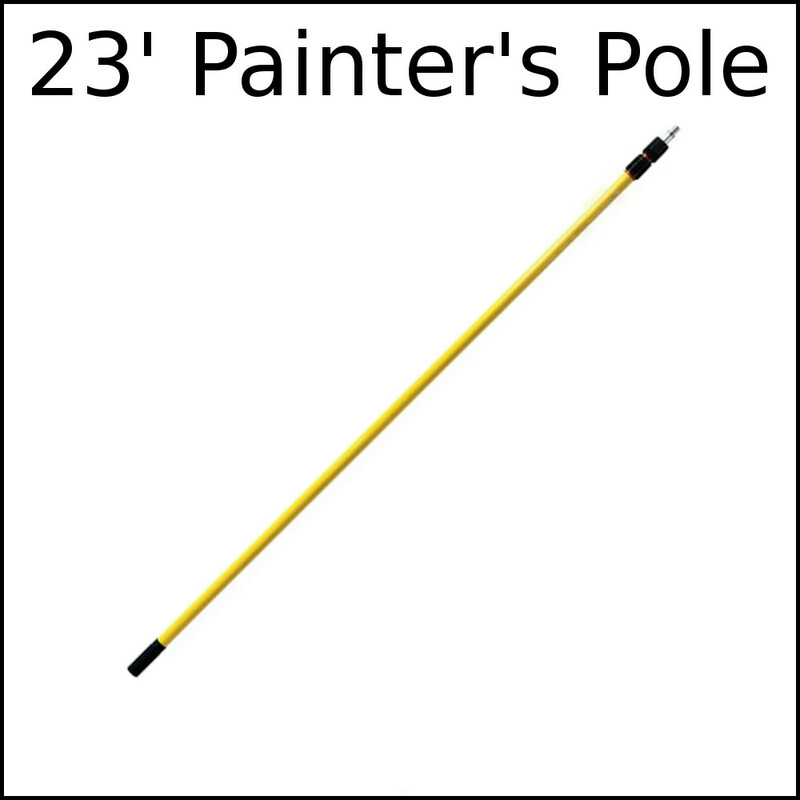 I bought a telescoping paint handle that extends to 23 feet for the mast, and I am using cheap paracord and metal tent stakes for guys. The paint handle costs about $44 with tax, and the cord and tent stakes were about $15. It’s not intended to be a permanent set up, so I’m not worried about guy wires rotting. This whole setup can be deployed in about twenty minutes, and it can be taken down just as fast. Just be sure that the guys and antenna don’t get tangled when storing it. I used zip ties and a hose clamp to fasten the antenna to the pole. Then I used one more hose clamp to fasten the paracord to the middle of the top portion of the mast. I drove a piece of 1.5 inch PVC into the ground as a base for the antenna to sit in. That supports it up just a little bit to allow the guys to be tied and keeps the mast from slipping on the ground. Then I tried to get the mast to stand as straight as possible using the guys. It’s pretty flimsy towards the top, so it certainly won’t live through any tough winds. We’re talking about a fiberglass and aluminum pole with friction locks on it. It was not designed for this type of torture, but for temporary setups it seems to be great. I’m going to put it through the paces over the next couple of weeks. So long as my wife doesn’t go out there and demolish it. The neighbors haven’t complained, yet.